This is been the longest blogging break I have taken since I started blogging in 2010 (has it really been that long?). Things have been absolutely crazy here. I graduated in December, went on many vacations, and then started working. I work 50-60 hour weeks and when you tack on my commutes and sleeping, I have virtually no free time ever. I set aside Tuesday nights at 10 PM to catch the new Teen Mom (why is that show so addicting?). Multiple days go by each week where I don’t even open my laptop, which is absolutely crazy coming from the girl who used to be on it non-stop. I’m no complaining though, as I am so thankful to have a job, but it’s tiring. Most of the time, I don’t even have time to shave my legs, let alone blog! I really hope to be able to add at least a few new posts each week so I can stay connected to the great readers I had. I want to keep everyone updated on my shopping trips, my garden, the chickens, and my thrifting. I might even be able to throw in some good deals here and there. I highly, highly recommend you join the Savvy Shopper’s Group on Facebook. It is much easier for me to share on there, you can ask questions at any time. We share Swagbucks codes, our shopping trips, and anything else. As you can see, the blog really needs a new lift. As of December, I am no longer a student so some things need to be updated. Nerdboy, the boyfriend and techie behind the blog, will work on it once he finds some free time. He’s still in school and working and he seems to have less free time than I do. 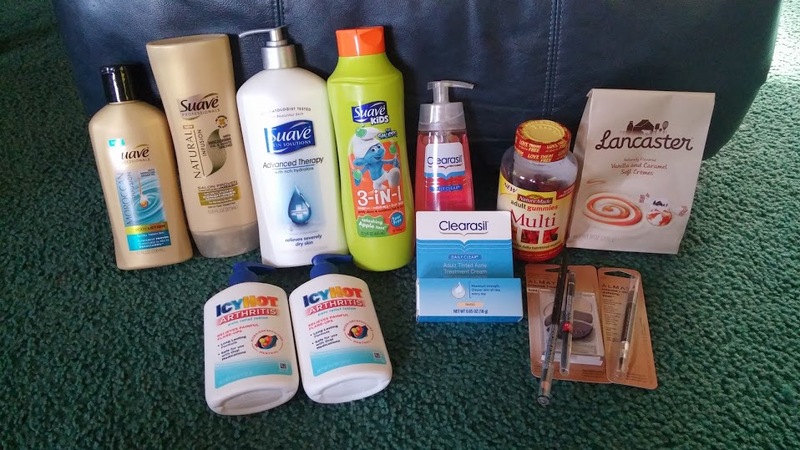 I’ve been couponing every week! As long as I stay on a routine I can get things done. CVS has been really sucky since Black Friday, do you agree? We used to walk out of there with free Gilette razors and money makers all the time. Now we’re lucky if we see one measily freebie each week. Maybe I’m being greedy, but the deals have been so slow. 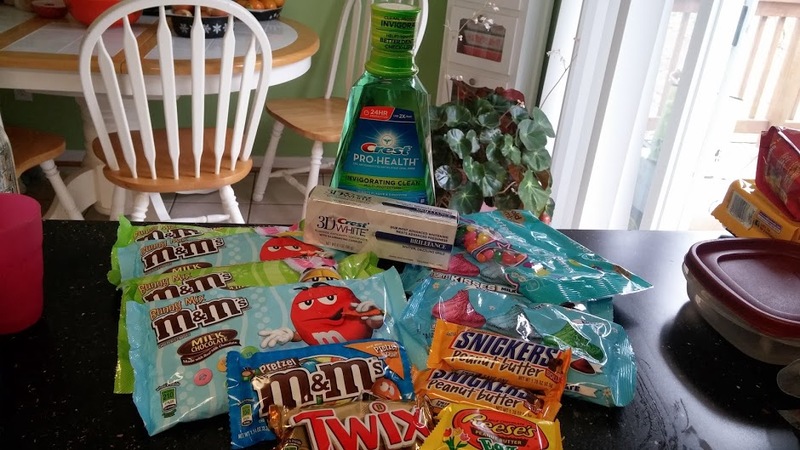 My mom has been doing ShopRite each week (Glen Burnie, MD ShopRite is still doubling $1 coupons) and we usually go to Safeway for a small trip when we can. My goal is to start posting my shopping trips, at the very least. I also need to update everyone on thrifting, chickens and the garden! Some stuff Nerdboy picked up for me! 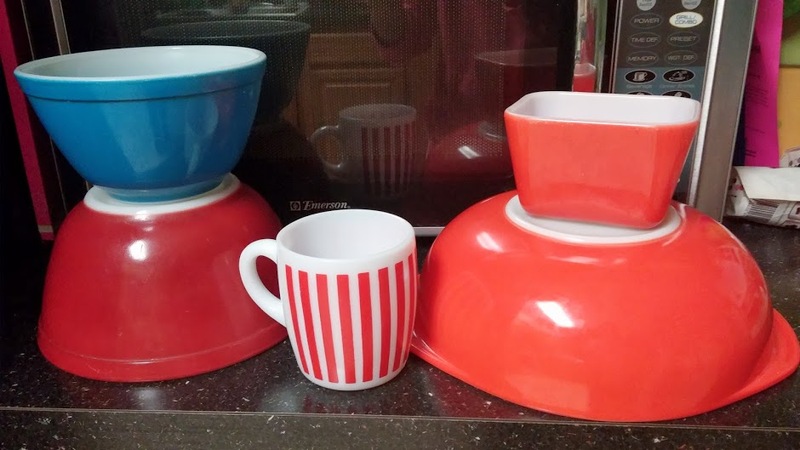 This was a GREAT thrifting day in February. I still continue to thrift every week. Now that I’m not going to school, I’m far from my favorite thrift shops that I used to frequent. Nerdboy so graciously goes for me every once in awhile. I go to flea markets when possible (snow and cold make this difficult). 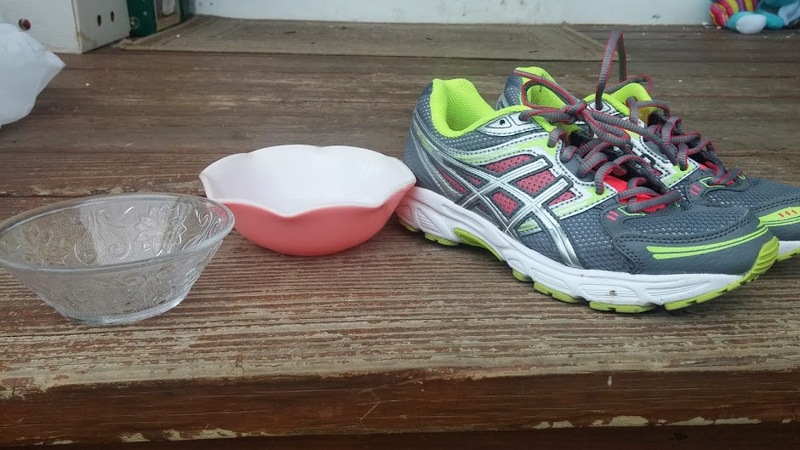 I pick up Pyrex as much as I can. 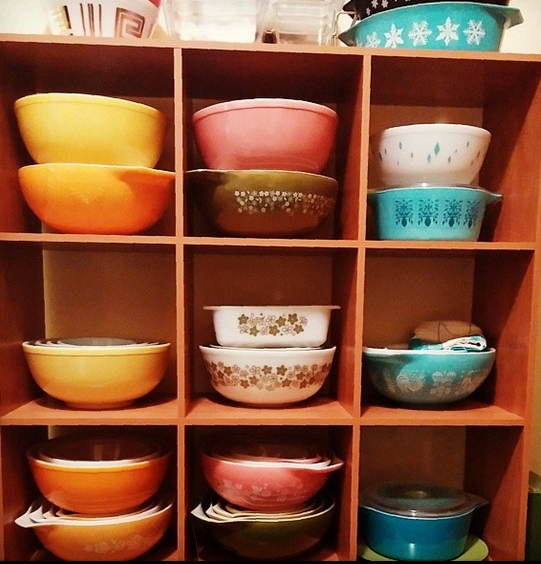 I collect vintage Pyrex for my personal collection, which has grown SO MUCH over the years and I also pick up stuff to resell. 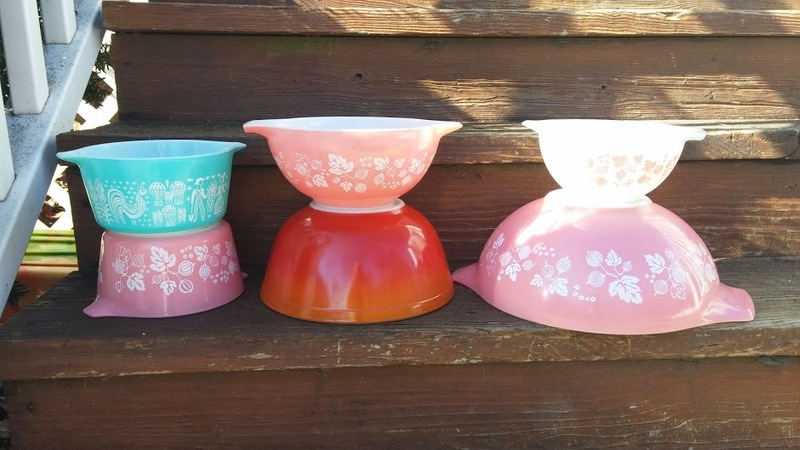 I have a pretty good eye for things I can flip and make a buck off of, whether it be Pyrex that I don’t personally collect, other vintage kitchen items, or even kid’s toys. I use money that I make from my personal sales (whether it be reselling items I thrift or make/craft) to pay for all of my expenses. I use Paypal for selling, so all my profit lies in my Paypal account. I use a Paypal Debit card (highly reccomend) for all my purchases so it’s a great cushion to have. I haven’t had to touch the money out of my actual bank account for months, probably a year, with the exception of student loans that I pay off in large chunks from my paychecks. If you’re into the Instagram thing and don’t mind pictures of my thrift finds (mainly Pyrex), chickens, and me selling stuff (yes, mainly Pyrex or old stuff), follow me @brandilabarre. I even post my shopping trips sometimes! The chickens are doing well. If you remember from the Fall, Luna (our littlest Barred Rock) wasn’t doing well. She was so sick that she lived in my bedroom for a month or so. We nursed her back to health and she has been living outside since December. She’s still a bit slow and will not hang out with the other girls. Luckily they don’t really pick on her anymore, but they certainly aren’t friends. When they sleep at night, Bonnie, Biscuit, and Ginger all snuggle together and Luna is by herself at least 2 feet away. Poor girl, but she’s hanging in there. Only two chickens are laying eggs. I think the cold weather and shorter days convinced Ginger and Luna to stop laying this winter. Bonnie and Biscuit lay an egg almost every single day. They rock! I hope the other girls step it up since it’s March already! Now that the snow is melted, they get to play outside as much as possible. They till my garden all up and that makes me so happy (until I have plants in there)! We’re still talking about bringing some new babies into the coop in coming months. As far as gardening goes, it has officially started for 2014! I got seeds planted already and my lemon and lime trees are here in Maryland. I planted lettuce, spinach and green onion seeds in pots. It’s still a bit nippy here, but I’m hoping they’ll grow. The left half of my garden is looking really good. 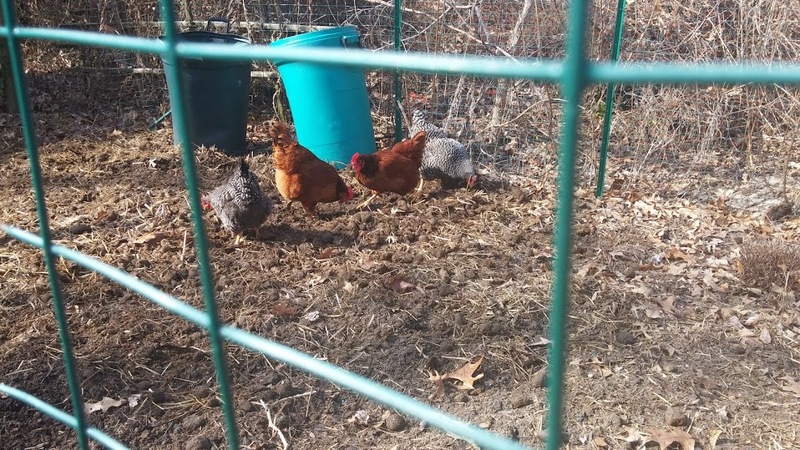 Last year it was filled with a good bit of yummy compost, I just recently added some horse manure that I got for free off Craigslist months ago from a lady 3 minutes away (thank you, ma’am! ), and I’ve been constantly tossing in the mess from the chicken coop. The right side of the garden still needs a lot of work. I’m thinking of adding 3 raised beds and filling with good dirt and more manure because I’ve struggled with that sandy soil for just too long. I’ll update with more pictures when I can.